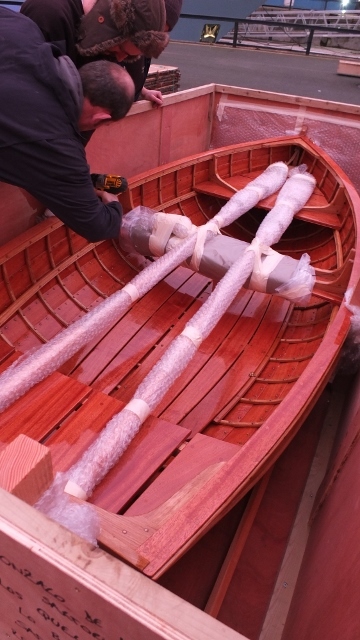 Mercator was recently asked to arrange the export shipment of a handmade wooden dinghy. The boat was hand crafted by a company in Plymouth, and they approached Mercator looking for a freight forwarder to take care of the export shipping to Chile for them. 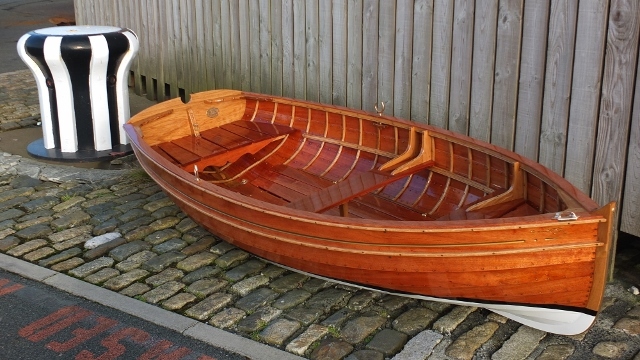 The Plymouth based company create hand built traditional wooden boats in the oldest covered slipway in the world. As the cargo was not a sufficient size (10’ in length) in order to warrant a dedicated shipping container for the sea freight shipping, Mercator arranged for the dinghy to be loaded into a shared shipping container. 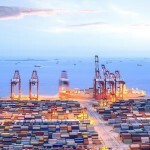 This is sometimes known as groupage, or LCL (less than container load), where several shipments share one shipping container and split the cost according to the volume taken up by each consignment. The manufacturer arranged to build a crate for the dingy to be transported in. They ensured that the crate was a snug fit so that the dinghy would not move inside the box and therefore minimising the risk of damage. They added extra packaging in order to protect the parts of the boat that would otherwise be in direct contact with the crate. 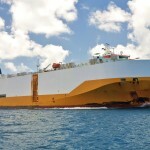 Mercator arranged for a curtain sider to pick up the dinghy once it was packed and ready for shipping. 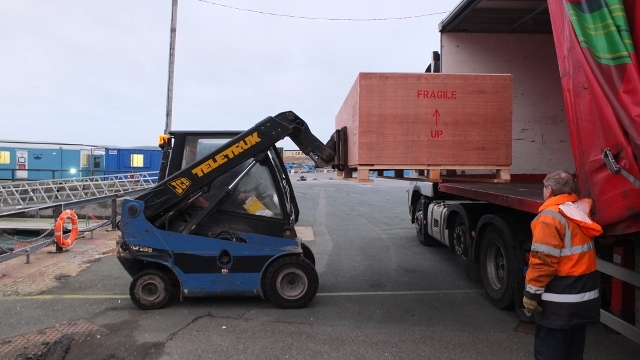 The onsite forklift truck loaded the crate onto the haulier’s truck in order for it to be transported to London Gateway Port and then loaded into the container nearby the quay. 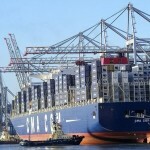 The sea freight route from the UK to Valparaiso port in Chile is usually through the Panama Canal and then South down the West Coast of South America. Valparaiso port is located just outside of Santiago, the Capital of Chile, about a third of the way down the coast of the country. 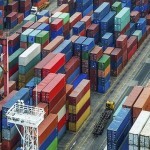 The other major container terminal port in Chile is Concepcion, approximately 300 miles further south. Mercator has a partner agent based in Chile, in Santiago. We have worked alongside them for over 6 years now. 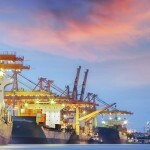 They are also a member of the global freight forwarder network MarcoPoloLine (MPL). As a member they are required to meet certain standards, have good conduct and be an independent freight forwarder. Membership to MPL ensures that customers can trust that their cargo is in safe hands no matter where it is. Our freight forwarder agent in Chile can assist with shipping to Chile once the cargo has arrived, including local customs clearance and even onwards delivery to the destination. 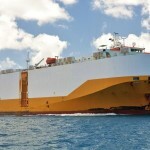 The connection with Chile also allows Mercator to have expert local knowledge directly from Chile with regards to shipping, clearance and documentation.